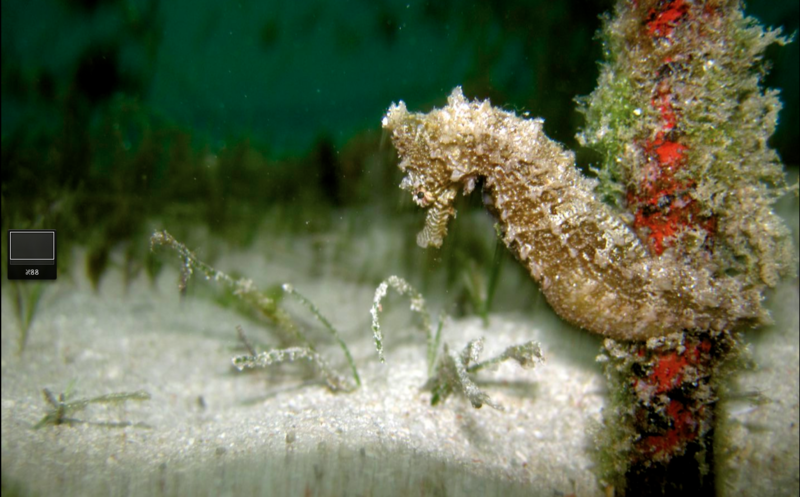 One of the cool things of seagrass meadows is that at first sight it might not seem too rich in animal life. But when working for hours on the seagrass around our cages and sandbags you find cool new animals that you might miss normally. In the last weeks I went out to make the perfect green-turtle-grazes-on-seagrass-picture but every time the visibility was crap or it was too deep or the current was too strong but then during the struggle under water I found 2 of my favourite animals (just in front of my house ! ): the robust ghostpipefish and a orange frogfish (species still needs identification). BTW: I can recommend the sandbags to anyone interested in studying the settlement of flora/fauna.